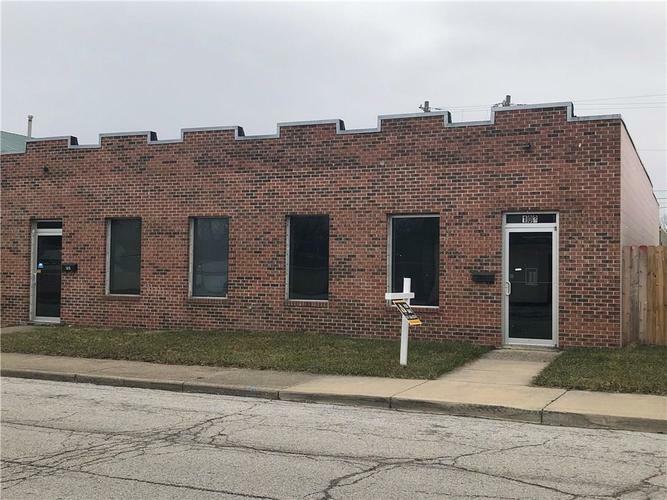 Commercial Duplex Building has two units- 103 is mainly office space and 105 has office space plus open bay. Zoning is C-7. Roof has new asphalt sheet in 2010. 2 overhead doors in back of building. Each side has separate meter for Utilities. One side leased at $750 Month. Tenant wants to stay. Unit next door ( Retail building) 101 N 2nd Ave on the corner is also available as a package deal. Directions:From Emerson Ave and 465 go North on Emerson to Main Street. Turn Left go to 2nd street turn right. Post office will be right there. Follow South on 2nd to property on the right.